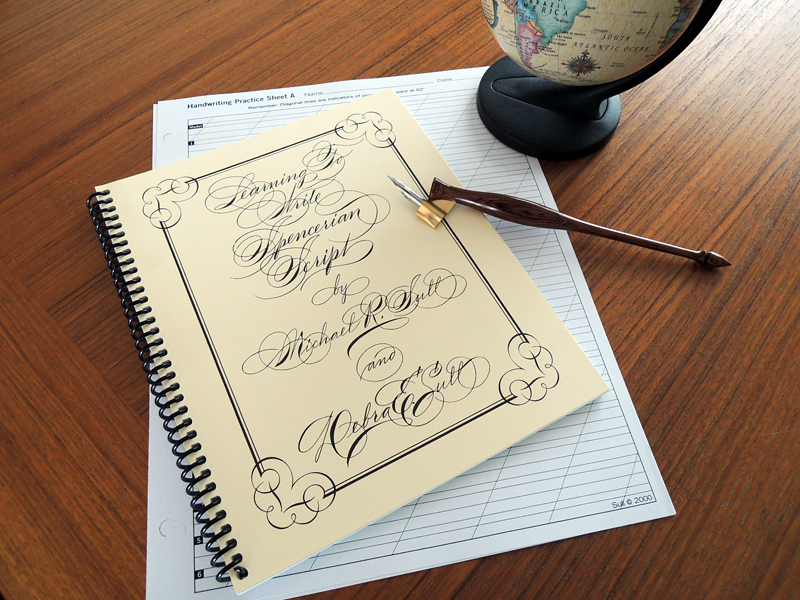 The Spencerian Script is an American style of handwriting, developed by Platt Rogers Spencer in 1840. It was gradually replaced by the Palmer Method and almost lost in history until it was revived by Michael Sull. Its elegant form and sublime flourishes truly make it unique and beautiful. 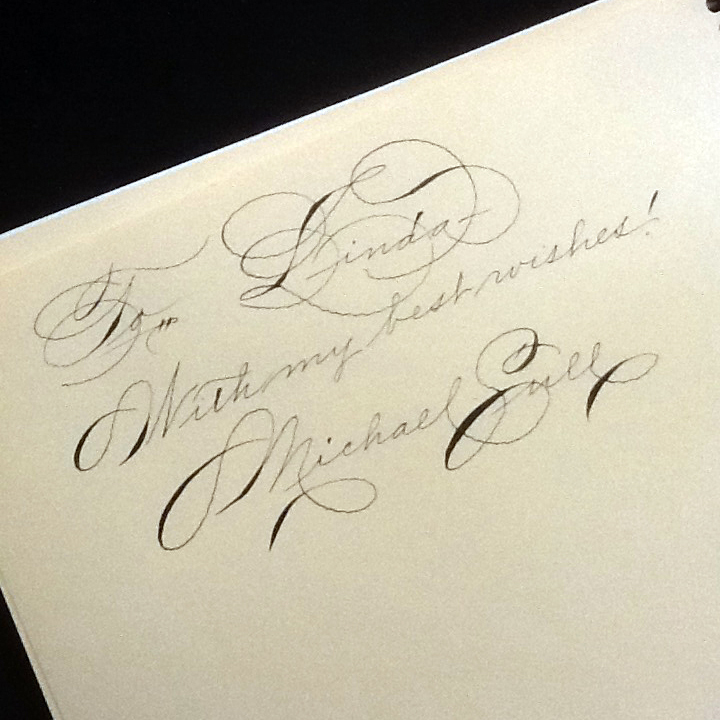 Thanks to my teacher, we found out about a Spencerian Workshop being taught by Master Penman Michael Sull, coordinated by Greg Minuskin and Janet Takahashi. 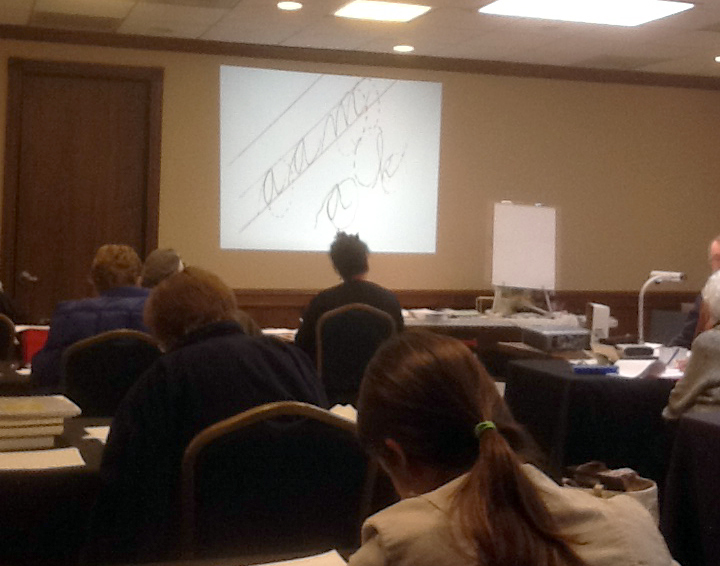 What a great opportunity to spend a whole day with other Spencerian enthusiasts and to learn from the master himself! Thanks to a quick introduction sesson from my teacher and also practicing Spencerian on my own, I felt a bit more confident about attending my first calligraphy workshop. The workshop took place at the Manhattan Beach Country Club. Mr. Sull was very gracious and personally took the time to treat everyone’s pen nibs before class began! Everyone was in awe watching him demonstrate with such mastery and elegance. He has a great sense of humor and made the workshop so intesting and fun. Mr. Sull also had an array of beautiful wooden penholders for sale, as well as his Spencerian books. He also signed my book which I will always treasure! 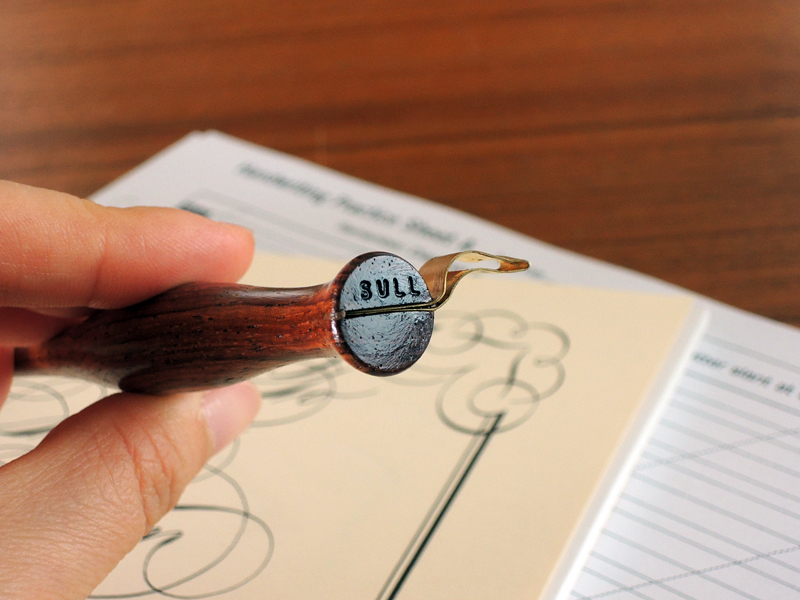 I also purchased a penholder made by Mr. Sull. He had so many beautiful penholders availble, I felt like Harry Potter choosing a wand! This particular one felt really comfortable in my hand so I decided to go with it. 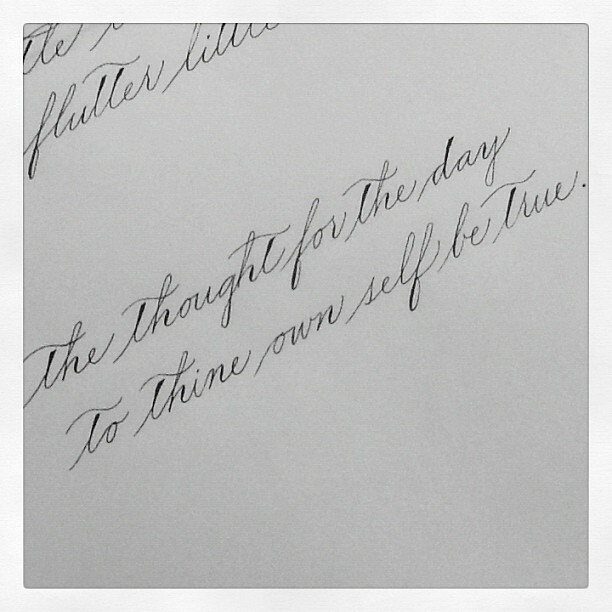 I hope to do a lot more Spencerian in my practices with this penholder! 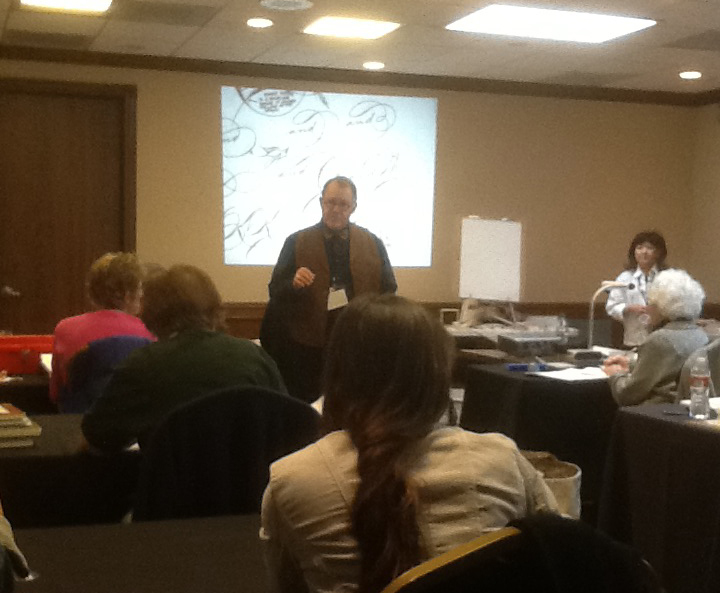 This entry was posted in The Learning Process and tagged spencerian on February 18, 2012 by linda. I became interested in Spencerian upon seeing a book on handwriting in my first few days at college back in 1977. Little did I know, my future instructor in that hand had yet to learn how to do so himself. I first attended Mr. Sull’s week-long workshop, “The Spencerian Saga” held at Geneva on the Lake, OH, in 1989. It made such an impression on me, I returned for another week in 2004. I highly recommend this Workshop to those wishing to immerse themselves in an entire week of handwriting history. Held in the ‘hometown’ of the man who started it all — Platt R. Spencer. Hello Jim, thank you kindly for taking the come to share your experience! One day with Mr. Sull was definitely not enough – but sadly I have not been able to attend the Spencerian Sagas. 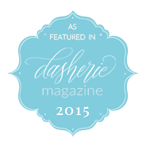 I am, however, currently enrolled in Ms. Crittenden’s online Spencerian course! Class started yesterday and I hope to soak up everything like a sponge. I would like to attend IAMPETH sometime, and of course, the Spencerian Saga when I am a little more experienced.